Kenwood Lutheran Congregation had its beginnings in 1936 when thirteen children met in the Community House for Sunday School with teachers and Pastor Olaf Rogne from Trinity Lutheran Church. Credit is given to Mrs. O.C. Johnson who asked Pastor Rogne to start a Sunday School in Kenwood Park. A proposal to begin work in Kenwood Park was brought before the Board of Deacons of the Trinity Church, and Pastor Rogne was encouraged to go ahead. 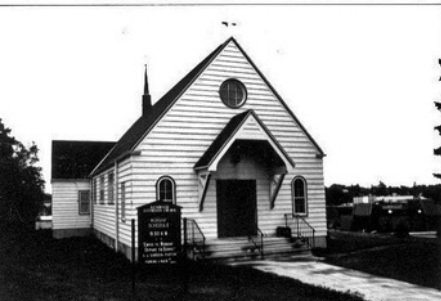 The lot on which the church building was built was purchased in March, 1938. Since there was no church organization in Kenwood, the Trinity Lutheran Church held the Certificate of Title until the congregation was organized. The Sunday School paid for the lot out of its treasury. The work on the church building was begun on April 13, 1940, and it was raised by the end of July, 1940. The first meeting of the Kenwood Lutheran Community Church was held on Tuesday, November 30, 1943, opened at 8:15 p.m. by a song and prayer by Pastor Lyngdal. Motion was made and seconded that we proceed to organize. The motion carried. And so the Kenwood Lutheran Community Church was organized at 1630 Kenwood Avenue. The congregation was organized with 28 families. A constitution was adopted, and a nominating committee was elected to present a slate of officers to be elected at the annual meeting in January, 1944. It was a festive and joyous occasion. On February 1, 1963 Kenwood Lutheran Church became a member of the American Lutheran Church as a result of the merger of the Lutheran Free Church with the American Lutheran Church. In early 1976, the church council decided to make a survey into the needs of the congregation. It was apparent that we needed space not only for the congregation, but for the surrounding community as well. A plan to expand the existing facility was made, but it was obvious that an efficient and economical expansion would not be possible. The congregation voted to sell the existing property to the Northern City National Bank. New property was purchased between Cleveland and Buffalo Streets off West Arrowhead Road. A new facility was started in July of 1979 and completed in August of 1980. A Prayer, Praise and Thanksgiving Service for over 40 years of witness for Christ in the community was held at the previous facility at 1600 Kenwood Ave. on the last Sunday in July. The congregation moved to the new facility at 324 West Cleveland St. (now 2720 Myers Avenue) for its first service on August 3, 1980. In 1987, the congregation voted on the merger between the American Lutheran Church, the Lutheran Church of America, and the Association of the Evangelical Lutheran Churches. The vote passed in favor of the merger; Evangelical Lutheran Church of America. In 1994, Kenwood Lutheran Church voted to support the mission statement as: "Built on a rock, with Christ as our center, we serve the community and beyond". In August of 1994, a special congregational meeting to declare its support of the merge between Kenwood Lutheran Church and Messiah Lutheran Church. 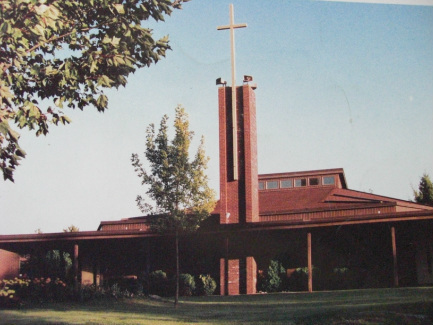 On October 2, 1994, Kenwood Lutheran and Messiah Lutheran had its first joint worship service. In December of 1994, a building committee was formed with the purpose of completing a new addition to the building. The addition was completed in 1996 with the dedication in January of 1997. Kenwood Lutheran Church, today, 2012.